Bucky O’Hare is a renegade pilot that gets captured by the Toad Empire. He blasts his way through the Aniverse to escape the evil toads. 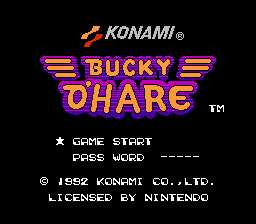 This is a translation of the American rom of Bucky O’Hare.